The playlist for the May 31, 2017 broadcast of the Swing Shift Shuffle has now been added to the playlist filing cabinet. The Red Hot Lindy Hop lessons and sessions continue at the Rumba Room this Friday night. Free beginner lesson at 7:00 p.m. Free admission before 7:00 p.m. and $5 thereafter. Lesson by Phil and Josey with music by DJ Phil. This morning's Sunrise Serenade was "Flight Of The Bumblebee" by Harry James and His Orchestra. Click on the song title to listen courtesy of Jazz On Line. I hope everyone enjoyed their Memorial Day activities, and took a moment to remember the purpose of the day. Severe storms in Memphis over the weekend left many (including me) without power, which is why my usual Memorial Day post is late. 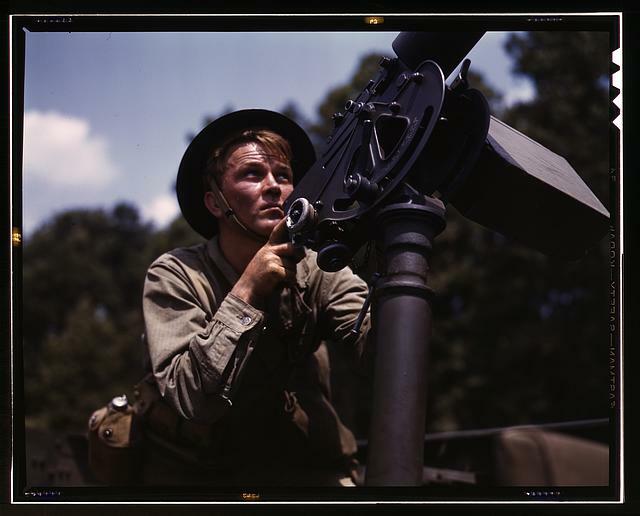 Photo courtesy of the Library of Congress Farm Security Administration/Office of War Information Color Photographs collection. Today's Sunrise Serenade was "Glow Worm" by Johnny Mercer. Enjoy the video from YouTube. Vintage Everyday posted this series of pictures from Life magazine in 1949﻿ documenting the travelling show troupe of burlesque performer Gypsy Rose Lee. In this set of photos, Ms. Lee and her fellow entertainers were in my home town of Memphis, and a few local sites can be identified. In the photo above, the large building (background right) is the old Ellis Auditorium. In addition to other old Memphis buildings, the Harahan bridge over the Mississippi River is visible in some shots. 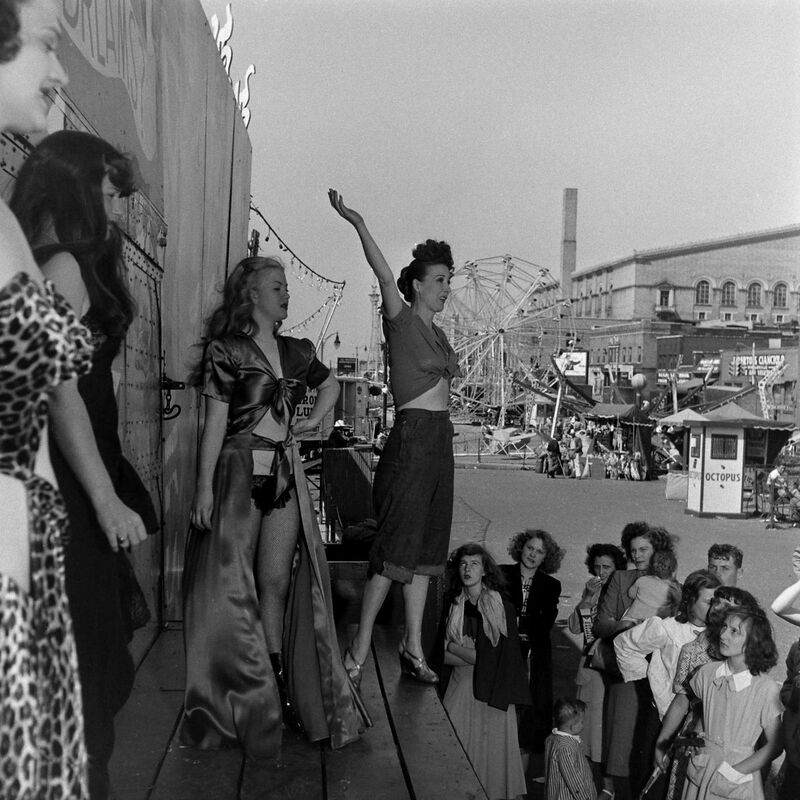 I was not able to determine conclusively what brought Ms. Lee and Company to town, but considering the downtown location, the apparent warm weather, and the carnival-like background, we here at the SSS believe her act was part of the annual Cotton Carnival. Today's Sunrise Serenade was "I Gotta Have My Baby Back" by Ella Fitzgerald with the Mills Brothers. Enjoy the video from YouTube. The playlist for the May 24, 2017 broadcast of the Swing Shift Shuffle has now been added to the playlist filing cabinet. The Red Hot Lindy Hop lessons and sessions continue at the Rumba Room this Friday night with live music from Big Barton. Free beginner lesson at 7:00 p.m. Admission is $7. This morning's Sunrise Serenade was "Organ Grinder's Swing" by Jimmie Lunceford and His Orchestra. Click on the song title to listen courtesy of Jazz On Line. 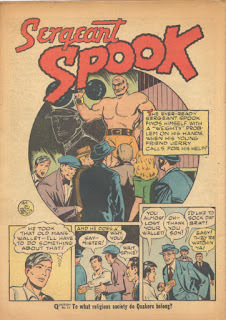 I do not know anything about Sergeant Spook other than what I can infer from this 1947 edition posted on Four Color Shadows. Apparently, Sgt. 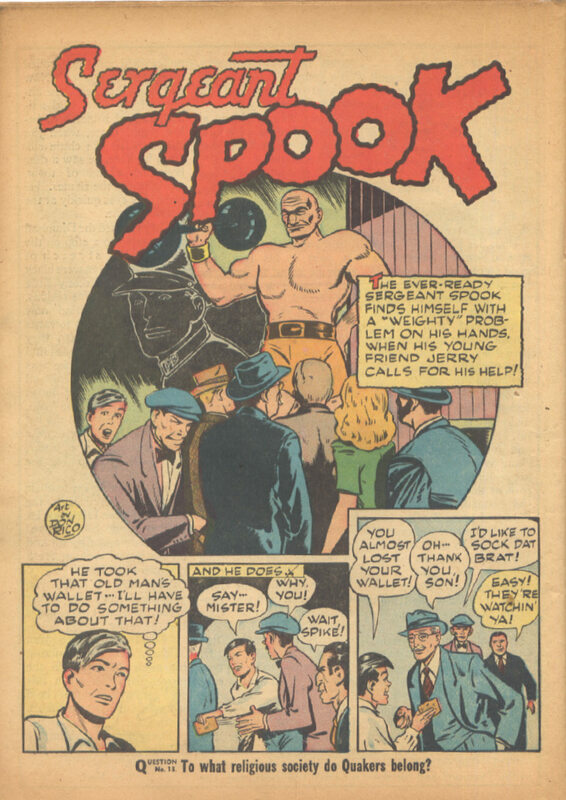 Spook was a ghost policeman, visible only to his young friend Jerry, with whom he solved crimes. Looks like Jerry could end up getting all the credit. This morning's Sunrise Serenade was "How Many Hearts Have You Broken" by Stan Kenton and His Orchestra with Gene Howard on vocals. Click on the song title to listen courtesy of Jazz On Line. Boing Boing posted this 1949 animated short, which at 10 minutes is actually just a little longer than most shorts of the era, made by Warner Bros. for the U.S. Federal Security Agency Public Health Service. Chuck Jones directed, and Carl Stalling did the music. 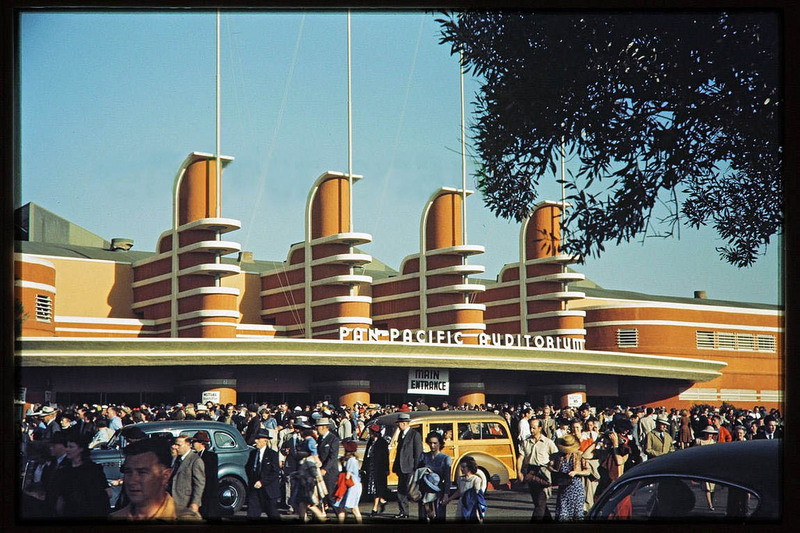 It provides an interesting peek into the post-war era. While its message is very serious, and some of its numbers are sobering, the cartoon is still entertaining while obviously aimed at persuading the public to support public health services. Here is So Much For So Little. This morning's Sunrise Serenade was "Opus One" by Anita O'Day with Gene Krupa and His Orchestra. Enjoy the video from YouTube. 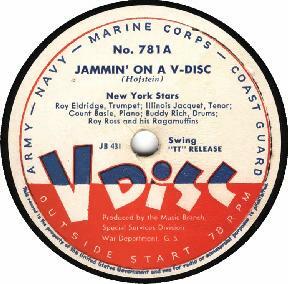 The National World War II Museum posted a nice item on the origin of "V-Discs," the U.S. government issued phonograph recordings made exclusively for the military. As the posted noted, V-Discs arose at a difficult time in the music industry. The music industry was actually undergoing a war of its own during WWII. In 1942, two of the most prominent musician unions went on strike against all four recording companies in the U.S.. The strike then caused a shortage of music needed for troop morale. Yet, Lieutenant G. Robert Vincent had a solution to the problem. After approval of the U.S. government, he brokered a deal between the unions, recording companies, and the U.S. government. By agreeing to not distribute any records for commercial use, Vincent was able to get the recording companies to agree to record albums for the troops to listen to while at war. More amazingly, he also convinced top-name musicians in the business to record for the albums despite the strike they were involved in. Another by-product of this venture was that artists who were under contract with different record labels could record V-Discs together, resulting in collaborations that would not have been possible under their contracts. The playlist for the May 17, 2017 broadcast of the Swing Shift Shuffle has now been added to the playlist filing cabinet. This morning's Sunrise Serenade was "All The Cats Join In" by Benny Goodman and His Orchestra. Enjoy the video from YouTube. Live music next week with Big Barton. Today's Sunrise Serenade was "San Fernando Valley" by Roy Rogers. Enjoy the video from YouTube. This morning's Sunrise Serenade was "The Green Grass Grows All Around" by Louis Jordan and His Tympani Five. Click on the song title to listen courtesy of Jazz On Line. This morning's Sunrise Serenade was "A Song Was Born" by Louis Armstrong with Jack Teagarden. Enjoy the video from YouTube. 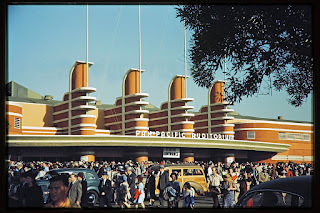 Vintage Everyday posted this very cool set of color photos showing Los Angeles in the 1940s. Today's Sunrise Serenade was "No Restricted Signs (Up In Heaven)" by the Golden Gate Quartet. Enjoy the video from YouTube. The playlist for the May 10, 2017 broadcast of the Swing Shift Shuffle has now been added to the playlist filing cabinet. This morning's Sunrise Serenade was "I'll Never Be Free" by Lucky Millinder and His Orchestra. Click on the song title to listen courtesy of Jazz On Line. Today's Sunrise Serenade was "Baby Me" by Glenn Miller and His Orchestra. Click on the song title to listen courtesy of Jazz On Line. The 2017 Summer Movie Series at the Orpheum Theatre begins June 2 with Willy Wonka and the Chocolate Factory. Most of the films are from the 1960's-80's this year, but there are still a few classics from the Swing Era: The Wizard of Oz, The Maltese Falcon and Gone with the Wind. This morning's Sunrise Serenade was "If I Could Be With You One Hour Tonight" by Jack Teagarden and the V-Disc All Stars. Click on the song title to listen courtesy of Jazz On Line. In this 1936 Van Beuren production, Felix the Cat uses the titular waterfowl to run a relief agency providing support to the needy, but Captain Kidd has his greedy eyes on the bird. From the Internet Archive, here is The Goose That Laid The Golden Egg. This morning's Sunrise Serenade was "Apollo Jump" by Lucky Millinder and His Orchestra. Click on the song title to listen courtesy of Jazz On Line. Three iconic aircraft from World War II will take to the skies again at the Memphis Air Show, May 13-14 at the Memphis-Millington Airport. The Boeing B-17 Flying Fortress Texas Raiders will offer tours of the aircraft as well as a limited number of 25 minutes flights. The North American P-51 Mustang Quick Silver will also give demonstration flights, as will the Vaught F4U Corsair, Korean War Hero. Today's Sunrise Serenade was "You Took Advantage Of Me" by Anita O'Day. Click on the song title to listen courtesy of Jazz On Line. The playlist for the May 3, 2017 broadcast of the Swing Shift Shuffle has now been added to the playlist filing cabinet. There will be no Red Hot Lindy Hop at the Rumba Room this Friday, but the regular weekly session will return next Friday, and there will be live music later in May. This morning's Sunrise Serenade was "It's A Quiet Town" by the Andrews Sisters with Danny Kaye. Enjoy the video below from YouTube. Today's Sunrise Serenade was "You'll Have To Swing It (Mr. Paganini)" by Ella Fitzgerald. Enjoy the video from YouTube. Time for The Hollywood ﻿Revue's monthly preview of programming on Turner Classic Movies. 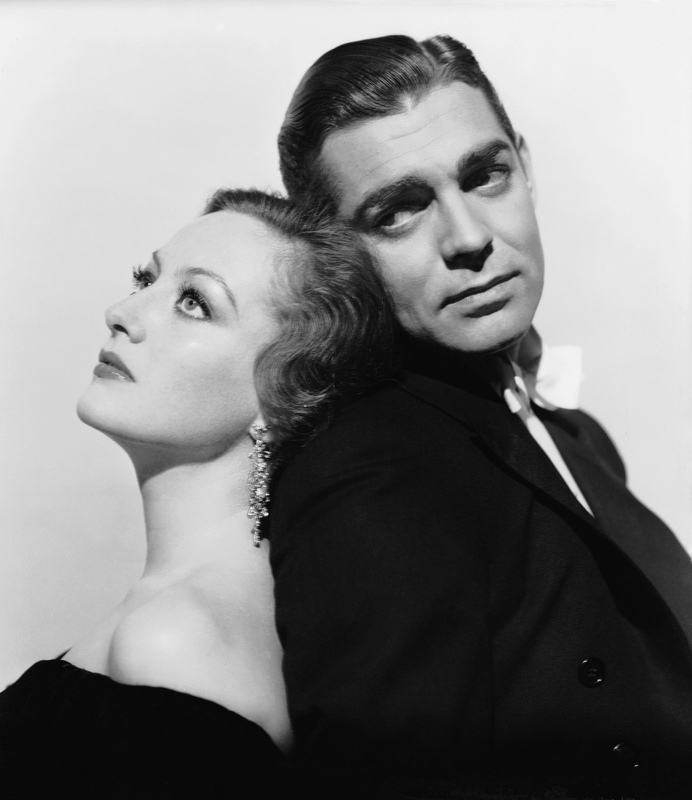 The Star of the Month for May is Clark Gable, with his movies every Tuesday evening into Wednesday morning and afternoon. Yes, that is Gable above with Joan Crawford. What, did you think he always had the mustache? Also on deck are two nights of movies made in 1967, and a monster movie marathon every Thursday night. This morning's Sunrise Serenade was "I'm Goin' Down The Road" by Burl Ives and the Andrews Sisters. Enjoy the video from YouTube.